Farming 101: Why Are Tractor Tires So Large? If you're in need of new tractor tires for sale -- or any other type of tractor supplies, for that matter -- then developing a professional relationship with the right local tractor tire supply company is one of the best steps you can take to ensure adequate availability and proper purchase types. Unfortunately, it's not always easy to tell the reputable providers apart from those who may not be as experienced at providing personalized recommendations and expertise. Here's what all tractor owners should know about choosing the right tractor tire supply company to fulfill their ongoing needs. Choose a provider with an adequate online presence. Before you make a visit to any suppliers in person, take some time to explore their online presence first. At this point, all businesses should have some form of online presence, even if it's as simple as a website listing basic information like location, hours, services, etc. Ideally, the provider you choose should have some way of allowing customers to submit forms and inquiries online. While this may seem to only provide convenience, it actually speaks volumes about the provider's willingness to go the extra mile and commitment to long-term customer satisfaction. Choose a provider with a small number of employees who are willing to take the time to learn about your equipment. Many small businesses, especially in the farming industry, make a habit of chatting with their customers regularly. They build rapport, learn about the customer's equipment, and keep the history in mind before making personalized recommendations for parts or service. Knowing this, it makes sense to choose a provider with a small enough yet committed and knowledgeable enough team to keep up with your equipment and its needs without getting overshadowed by others. Choose a provider who recognizes the signs indicating the need for repairs without being pushy. Finally, be sure to avoid businesses selling tractor tire supplies that seem pushy or hasty with their offerings. It's one thing to make honest recommendations, but if the employee seems too pushy with sales, they're likely only after the money. 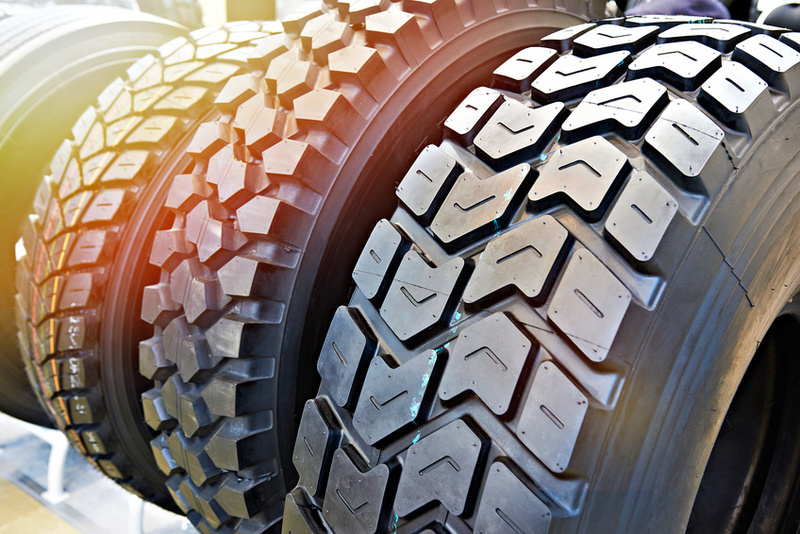 Choose the right business for sourcing your tractor tires and you'll be in good hands. For more information about front tractor tires or tractor tire supplies, contact NTS Tire Supply. If you've ever lived out in the country (or have ever driven through it) you've probably seen tractors out in the field. The most noticeable thing about the behemoths is just that -- they're huge! While their size makes sense given the amount of ground they need to cover, do their tires really need to be that massive? The layout -- rear tractor wheels significantly larger than the front tractor tires -- makes little sense to anyone who isn't used to working on a farm. Surprisingly, the explanation for this is multitudinous. Let's take a look. Traction: Farmers often need to work in muddy, uneven fields. To avoid any slippage and ensure the work gets done in a timely manner, large tractor tires are designed to have big grip pads that "bite" into the ground, in addition to a large surface area which prevents it from sinking into the slop as easily. Steering: The smaller front tractor tires have a much better steering radius, which allows farmers to turn sharp corners. This helps them cover the maximum area of the field while carrying out various jobs (like plowing, sowing, and harvesting) because they're able to exercise more control over the tractor. Visibility: In a more obvious and simplistic way, having two larger wheels in the back and two smaller ones in the front allow the operator to see over the nose of the tractor. Good visibility is important to ensure you're not missing any sections, and helps improve efficiency. Weight Distribution: Tractors were invented to help farmers pull heavy equipment across their fields, and essentially took the place of horses. If the rear wheels were the same size as the front wheels, this heavy weight may make the tractor tip backwards, or fail to move forward. At the same time, the heaviness of the wheels themselves balances out the weight of the engine at the front. 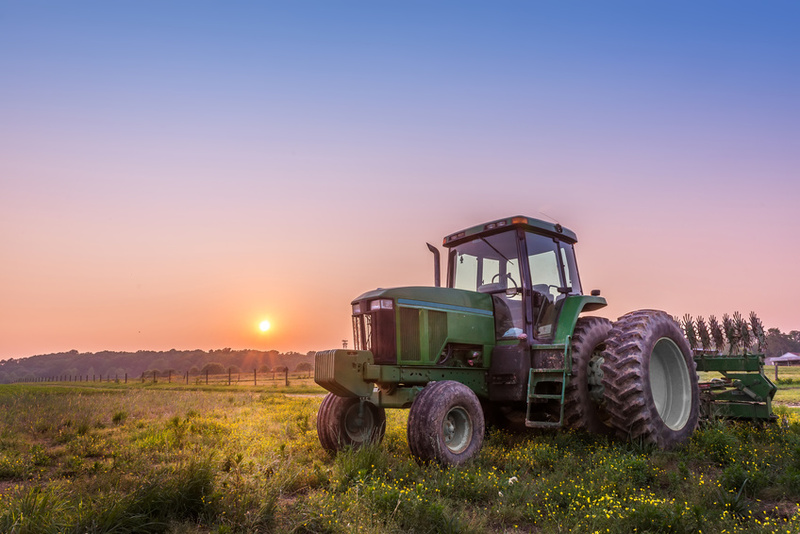 Given the number of farmers in the U.S. (approximately 3 million), the fact that farming tires make up a staggering $502 million in the tire and rubber industry is not that shocking. Both rear and front tractor tires are uniquely designed to haul heavy equipment across fields without damaging the soil or getting stuck, and they're mighty good at it. Although you may not think about them much, tires are critical for daily operations on the farm. In fact, tires are so important that in 2017, the farming industry alone accounted for $535 million of replacement tire sales in the United States. In order to properly maintain your tires, and reduce the need to increase your tractor tire supply budget over time, make sure to store your tractor tires or combine tires during the winter or anytime that they are not being used. Here are several tips to help store your tires longer and in better condition. Tires typically accumulate brake dust, road grime, and dirt. This gunk can be harmful to the tire if it is allowed to stay on for extended periods of time. Make sure to clean off all this dirt from your entire tractor tire supply using soap, water, and a good tire brush. Then wipe the tires down completely and allow them to air dry. Once your front tractor tires, deep tread tractor tires, or any other type of tire is clean and dry, store it in an airtight bag. Airtight storage is necessary to prevent the lubricating oil within the tire from evaporating during storage. The best airtight containers to use are airtight plastic bags like lawn or garden bags which you can buy from any local tractor tire supply shop. When you place the tires in these bags, try to get out as much air as possible, and then close up the bag with plenty of tape. The best position to store tires in upright, not lying down flat or stacked. However, if you do need to stack them, make sure not to stack them too high or they might topple over and become damaged. No matter which way you store your tires, make sure to keep them in a cool, dry place away from the sun. Black tires can easily soak up the sun’s rays and heat up to as much as 120 degrees Fahrenheit. This high temperature can cause the rubber in the tire to break down, creating further wear and tear on the tire even while it is stored. Preserving your tires is important for cutting costs by reducing the need for replacement tires. Whether it is deep tread tractor tires, front tractor tires, super single tires or any other type of tires, they all need to be properly stored. Use these tips to prevent damage to your tires while storing them, extending their use and lifespan. In 1916, approximately 20,000 tractors were sold in the United States. By 1935 that number had jumped to more than 1 million. There's no denying the fact that tractors make countless landscaping tasks exponentially easier and more efficient to complete. But a tractor, like any other type of machinery, requires a significant level of knowledge and maintenance to keep operating at its best. This is particularly true with tractor tires, which often get neglected and accumulate wear and tear. Here are just a few common tractor tire maintenance mistakes that, when avoided, can extend the life of the tires and even your tractor as a whole. Tires that measure 17 inches and more represent over 56% of the available tires found in today’s tire and rubber industry, according to Modern Tire Dealer. But any type of tractor tire can experience this irritating issue that requires more attention to detail to repair properly. "Got a garden tractor tire that’s always low and you can’t find a puncture? Chances are you’ve got a bead leak caused by a rusting wheel. You can yank the tire, remove the corrosion from the wheel with a wire wheel and then paint it, but the tire will still leak air," says The Family Handyman. The real solution to this issue is to cut off the old valve stem using side cutters or a utility knife. Break the bead using a 2x2 cut into a 45 degree angle. Once the bead is removed, rotate the inner tube so the valve stem lines up with the hole in the wheel. Once the tire bead is pried back onto the wheel, it can be reinflated. The farming industry accounted for $535 million of replacement tire sales in the United States in 2017, and not accounting for tire pressure during long term storage can also result in increased wear and tear. Cold temperatures combined with heavy weights can cause deflating and flat spots, so make sure to overcompensate before long term storage. 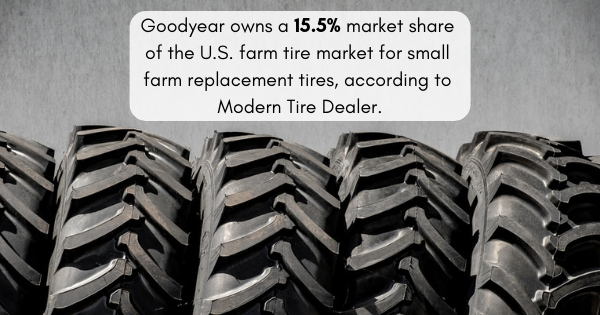 Goodyear owns a 15.5% market share of the U.S. farm tire market for small farm replacement tires, according to Modern Tire Dealer. But regardless of your tractor tire size or application needs, avoiding these mistakes can increase longevity. For more information about used combine tires, contact NTS Tire Supply. 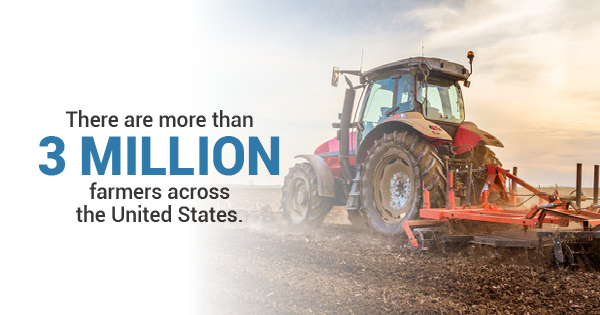 The United States is home to more than three million farmers. People who work in this industry will tell you that getting the right tractor tires can make a big difference. In the tire and rubber industry, Statistic Brain has found that farming tires and skid steer tires have been valued at $502 million. That is a lot more than the $401 million valuation assessment that has been given to off-road tires. To know what farm tires are right for your equipment, it is important to understand what they are. When you are talking about getting tires for wagons, spreaders, tractors, skid steers and other pieces of equipment that you will need when you are working in the field, you are talking about farm tires. There are usually multiple kinds of lug depths and tread styles. This is important as different farms have different needs when it comes to steering and traction. Look at the equipment you use. If you have older pieces of equipment, you probably use tractors that are of the two-wheel drive variety. Newer tractors are mostly of the four-wheel drive kind. The latter uses all of the rear tractor wheels. The former relies on unique steering tires. The same rules hold true for older backhoes and other kinds of construction equipment. Look at the size of your tires. Whether you are looking at skid steer tires or some other kind of farm tire, you need to start by knowing how big the tires you use are. When you are thinking about size considerations, you need to take into account the load weight and the horsepower of your equipment. Think about the choice between radial and bias tires. When you are looking at new tires for your farm equipment, the price is absolutely going to be a factor but it should not be the only factor. Radial tires do cost more but there are advantages to getting them. They provide between 10 and 15% more traction, the ride is smoother, and the treads do last longer. While the initial cost for bias tires is less, when you go with radial tires, you will get better fuel efficiency for your equipment and these can work with a lower air pressure setting. If you are unsure about which way to go, it may be worth it to have a talk with an expert in farm tires. Look at the ply rating on bias tire or load index on radial tires. This tells you the amount of weight the tire can carry. When you are working on what kinds of tires you want, it is important to take into consideration what you will add to the tractor. Think about whether or not you need tubes. Some, but not all, farm tires and tractors require the use of tubes. You will know your equipment needs tubes by the designation of "TT" on the tire. It can be found after the size of the tire. Sometimes farmers will use tubes in their tires even when this is not totally necessary. However, if a tire calls for a tube, you must use one. Look at chains for tractor tires. It makes sense to get chains for your farm tires. They can make it possible to use your equipment in a variety of weather conditions. They are very helpful in areas where snow is common but can also be helpful in areas that see a lot of rain. Many people think about chains on tires when ice or snow is around but they can be helpful in a number of situations. When you are looking at farm tires or skid steer tires, you have a lot of options to select from. Finding the right tires for your equipment, your farm, and your needs can take some time, energy, and work. Tire technology is continuously improving, and talking with an expert can help you find what you need. As every one of the three million farmers in America know, farm equipment is a huge investment. From combines to skid steers, large work vehicles account for some of the biggest expenses any farmer encounters. To ensure business runs smoothly and to protect farm finances, keeping tractors in good condition is absolutely essential. Without proper maintenance, farm equipment simply won't last as long, which costs you more money over time. One key element of good tractor maintenance is properly caring for tires. Older tires with worn tread cause the tractor to perform poorly, resulting in inefficient work and higher expenses-- poor tires lead to fuel waste as your machine has to work harder to compensate for bad traction. To prevent problems like these, replace tractor tires when the time is right. Here are three common signs that your tractor tires need to be replaced. 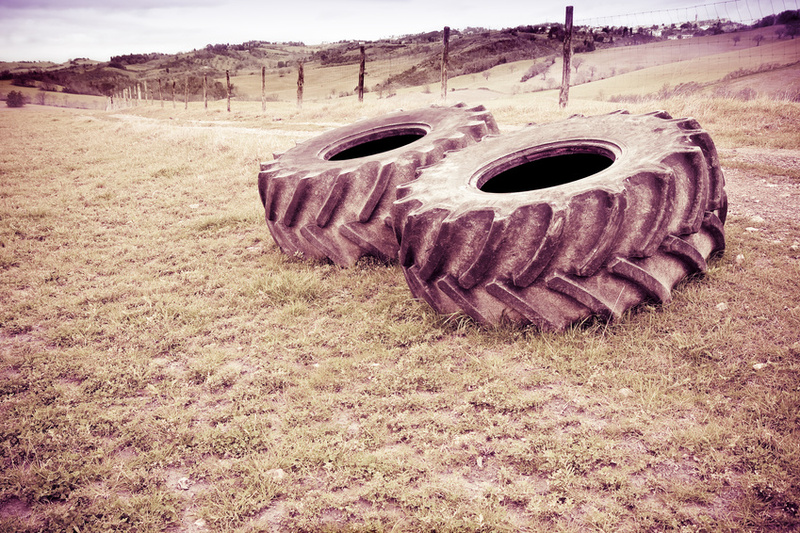 Like any other kind of tire, tractor tires can develop dry rot. As the seasons and conditions change, the composition of tire material changes, too. When a tire has been over-exposed to sunlight or dry air, or when a tire hasn't been used very much, it can lose elasticity and develop cracks. This phenomenon is known as dry rot. If you notice that your combine tires or skid steer tires have become brittle, pale, faded, or cracked, you may need replacements. 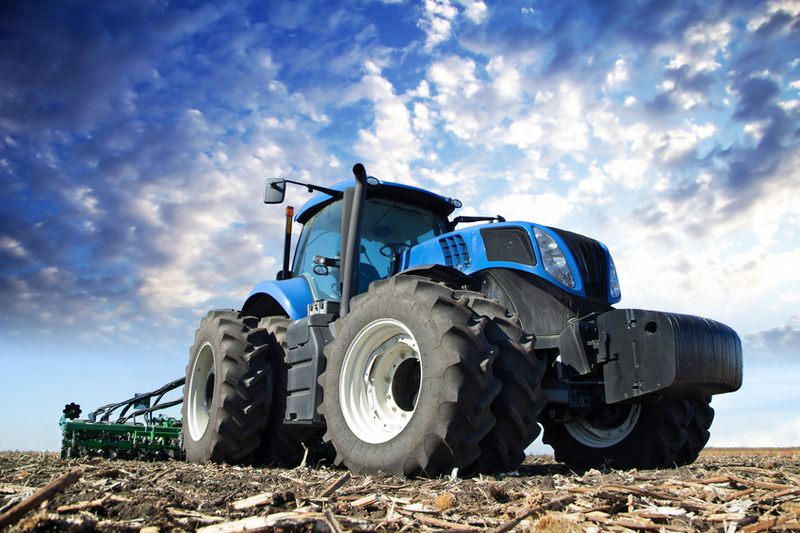 Like a bike tire or car tire, large tractor tires can also develop air pressure problems. Tires that aren't filled to the ideal pressure will not perform correctly, resulting in fuel waste and improper load management. If you notice that your equipment's tires constantly need to be filled, you may have a slow leak. When tire air problems become egregious, consider purchasing replacements. Finally, wheel slippage is related to traction and refers to how far the tractor actually moves as the wheel turns. Today's tires have slip indicators that help operators recognize when a tractor has good traction, and when the machine is sliding and failing to grip the ground. A practiced driver will also be able to feel when a machine is struggling to gain traction on mud and wet soil. Wheel slippage can be costly over time, since the machine burns more fuel to move across the ground. If you suspect your tires have slippage problems, it might be time to get them replaced. Tires are one of the most important parts of a tractor. The air in each tire bears the weight of every load, and the tread is responsible for pulling that load over all kinds of terrain. To keep your equipment in top condition and to keep your farm running smoothly, use this guide to timely tractor tire replacement. If you replace tires when the time is right, you'll be able to rely on your equipment to get the job done. Quality deep tread tractor tires contribute to a tractor's fuel efficiency and productivity. Improving both of these factors, in turn, reduces costs. To improve the efficiency of your tractor, maximize the performance of your tractor tires with these tips. Tires are more efficient when they achieve maximum contact area with the soil. The contact area depends on the type, number, and size of tires in addition to the tire inflation pressure. For instance, radial tires with proper inflation give a larger and flatter footprint than bias-ply tires. When you reduce tire pressure to the minimum amount a tire needs, you'll allow it to flex over a larger area. While you may want to minimize the pressure while in the field, be sure to increase it again when driving on the road and while the tractor is in storage to prevent damage to the tires. The right equipment ballasting will maximize traction on any tractor. Proper ballasting involves using the minimum amount of weight necessary to achieve the desired equipment performance. Adjusting the ballast as the tractor applications vary and removing extra ballasts once a season ends are important steps to achieving optimal performance. When you have excess ballast, the extra weight will create deeper tracks which requires more power and more fuel as the front and rear tractor wheels work harder to climb out of those tracks. Contacting a reputable farm tire professional is helpful in determining the proper equipment ballasting. A driver's operation techniques can also affect the performance of tractor tires. Most farm tires have a maximum speed rating of 25 miles per hour or less, but people tend to overlook those ratings. However, when drivers force tractors to go faster than their recommended speeds, they generate an excessive amount of heat. This heat breaks down the rubber in the tires, separating interior liners and belts, potentially ruining the tires. In 2017, the farming industry made up about $535 million of all replacement tire sales in the United States. Invest in these sales when needed, and then maximize your tire performance and traction efficiency by properly maintaining your tires. It's hard to imagine the farming industry without the iconic tractor, but food made it to the table for centuries without the heavy piece of machinery. Today, you have tractors to thank for every bit of food that ends up on your plate. You also have the custom tractor wheels and rear and front tractor tires to thank for making it possible for the tractor to do its job. Learn the history of the American tractor and you will be better able to appreciate how far this equipment has come. The creation of the modern tractor starts with the invention of the reaper. Cyrus Hall McCormick made this preliminary farming tool in 1831, laying the foundation for future power farming. In 1837, John Deere fashioned the first self-cleaning plow out of an old saw. Deere began mass-producing the saw-turned-plow, setting the grounds for his future tractor business. A.M. Archambault and Company created the first farm steam engine in 1849 and just over 40 years later John Froelich brought the first gas-powered tractor to the farming industry. Froelich's first tractor only used 26 gallons of gas and threshed over 1000 bushels of grain per day. This type of farming efficiency was previously unheard of, but it streamlined numerous tedious and time-consuming processes, saving farmers an incredible amount of time and money. Tractor use was slow to catch on amongst farmers for the first few decades after its invention, but once the cost of this equipment became more affordable in the early 1920s, usage started to soar. With the manufacturing of 564,000 tractors, 1951 was the peak year of tractor production in the United States. By that point, the tractor had survived the tumultuous economic times of the Great Depression as well as of the Second World War. During these decades, the number of large farms in America grew, while the smaller family farms fell victim to hard financial times and disappeared. However, more large farms needed more tractors, making tractor production boom. Four-wheel drive tractors were invented in 1960, creating the type of tractor with custom tractor wheels we now see today. The increasing value of tractors meant that its parts, like custom tractor wheels, also gained great value. Currently, farming tires are valued at $502 million in the tire and rubber industry, a higher than that of off-road tires, according to Statistic Brain. The tractor tire industry couldn't exist without the important invention of the tractor. Now that we have taken an in-depth look at the history of Agriculture in our 7-part series (part one can be found here), where is the future of farm technology heading from here? Many exciting developments are in the works and we’ll take a look at some of them now. Some of them are being implemented currently, while others might be a bit further off. Of particular importance to us here at NTS Tire Supply, is the continuing development of High Flex Tractor Tires. We touched on their importance briefly in our look at Michelin and their products, but how do they affect farming? By spreading out the weight of the machinery across a greater area, these tires reduce soil compaction, which then increases the yield of your crops while allowing you to cover the most acreage possible. These tires are also able to run at much lower air pressures, which allows the tire to move further each revolution and preserves the soil’s ability to nurture crops at a better rate. By automating many tasks with the use of Agricultural Robots, the goal is to reduce manpower hours required to do things like weeding, harvesting, planting, and soil maintenance. This will increase efficiency and ensure prices of crops stay reasonable. Much of automation’s true strengths will come to light when used in conjunction with other emerging technology. Precision agriculture is a term used to describe farming management using satellite imagery, drones, robots, and advanced soil monitoring sensors to improve crop returns while reducing the resources needed to be successful. This can provide weather prediction and recommend complementary planting layouts to maximize yield. While early versions of this tech are being used now, it will probably be 2024 before we see its true potential fulfilled. Just as important is monitoring the health of your crops. While many sensors like those advanced soil monitors have been adopted into the farming system in the past few years, many more are in continuing development. Crop sensors have been designed with an eye toward managing fertilizer application to ensure healthy crop growth and a reduction of fertilizer burn. Additionally, livestock biometric sensors can automatically gather valuable data about livestock and deliver it in real time, reducing issues that can arise in the form of illnesses invisible to the human eye. These recently became scientifically viable, but likely won’t be financially viable until 2020. 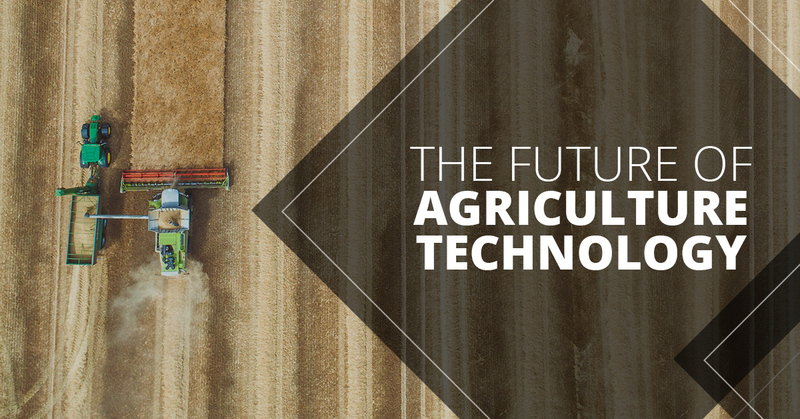 While the industry as a whole is down, the investment in agricultural technology has grown exponentially since 2010 (hitting a record high of $4.6 billion in 2015). A survey conducted last year by Caledonia Solutions found that on the farm level, 25 percent of large farmers were investing more in these developing technologies. As is usually the case, once these early adopters find success with emerging gadgets and new processes, the rest of the market will follow suit as they become more readily available. We find it exciting to see what new ideas come forward to increase our efficiency and quality, and can’t wait to see what comes next. This is our seventh, and final, installment of our series about the early days of Minnesota agriculture. Thanks for joining us on this journey. When we started out, we thought that the 30 years we’ve spent providing new and used tractor tires to farmers in Minnesota and nationwide had made us veterans of this business. Now, we realize that without the extraordinarily hard work and unceasing innovation of the last 100 years or so, we wouldn’t be here. The farmers we work with wouldn’t be here. And, our world would look much different. So, we’re really glad that we took the time to learn about the history of agriculture in Minnesota, and we glad that you did too. If you haven’t been following along, start with our first article in the series. We expect that you’ll be as amazed as we were at some of what went into making Minnesota, and our farming community, what it is today. As farmers moved beyond subsistence level farming and truly became a driving force of our economy, they were able to begin experimenting to improve yields and identify the crops and livestock that were the most profitable for their particular part of the state. The result was rapid diversification and dramatically improved profitability. Here are just a few examples of the rapid pace of change. Keep in mind that wheat was the mainstay for Minnesota farms up to this point. Between 1900 and 1930, wheat production shrank from about 50 percent of the state’s agricultural output to around 10 percent. Over the course of 40 years, the production of oats increased from 23 million bushels to 126 million. Corn production jumped from 14 million bushels a year in 1880 to more than 100 million by 1930. Potatoes became a top commodity, going from 5 million to 25 million bushels a year during that same 40-year period. Last, but certainly not least, butter production in Minnesota went from 19 million pounds a year in 1880 to more than 200 million by 1935. Farming grew pretty rapidly in northeastern Minnesota, where newly logged land was available. Add to that the scientific and technological advancements during this time, and it is no wonder things began to look very different. Farming had been more of an art than a science for a long time. Practices were handed down through the generations. And, while many were supported by actual scientific evidence, the farmers didn’t know that. The 20th century ushered in a new phase of scientific agriculture. Improvements were made in every area, from plant biology and pest to control to livestock nutrition and soil fertility. New areas of study were becoming mainstream, including agronomy and agricultural engineering, and it wasn’t long before farm management and industrial production became required learning for farmers. And thanks to the establishment of land grant universities, farmers had places to learn everything they needed to know. The final step that put us on the road that we’re on today was the recognition of private industry that farming was going to continue to directly provide economic opportunities for them. Industries, including equipment manufacturers, food processors and land developers, went out of their way to develop business relationships with farmers, and worked with them to advance science-based agriculture. That brings us to the end of our seven part series on the history of agriculture in Minnesota. We feel like we might need a few more installments to bring us into the 21st century. Stay tuned. Those may be on the way soon. Thanks for reading. If you’re in Minnesota stop by or give us a call about our new and used tractor tires and tracks. Or shop our online inventory and give our experts a call for help. We’re down to the last two articles in our series. Our first five articles on Minnesota’s agricultural history paid homage to the early days of farming. Start with our first article in the series if you haven’t read them all yet. You’ll be glad you did. It is amazing what 19th century Minnesotans accomplished, and how hard they worked to build our agricultural industry. Our final two articles take us from 1900 through the 1920s, which is where we find the roots of the agriculture industry we recognize today. We’ve only been providing farmers in Minnesota and across the country with new and used tractor tires and tracks since the early 1980s. We thought that made us veterans of this business. But now that we’re drawing to a close on this history series, we’re feeling like relative newcomers. New or old, we’re proud to be part of America’s rich agricultural history, and we hope you’ll come see us soon or visit our online store. The early part of the 20th century was a time of growth and prosperity for farmers. New technology was advancing at a mind-boggling rate and industrialization in other business sectors benefited the agricultural industry tremendously. Of course, the era that followed this era growth was extremely tough for farmers, as it was for the rest of the country. But eventually the agricultural industry in Minnesota and the rest of the country not only recovered, but became a driving force of the worldwide economy. Agricultural schools established a decade or so earlier began to deliver real improvements in livestock management and breeding, new strains of seeds, mechanical improvements, and modern farm management strategies. Other advancements that benefited farmers during this time include gravel roads, the introduction of automobiles, and the establishment of rural delivery routes. These are just a few of the major milestones that occurred during this brief 20-year period. Believe it or not, the folks who make the Green Giant brand of canned and frozen vegetables, the Minnesota Valley Canning Company, was founded in Le Sueur in 1903. The big green guy has been around that long. It was only a year later that the second canning factory opened in the state. In 1905, the Minnesota Highway Commission was established which laid the foundation for improvements in rural mail routes. By 1907 there were 1,500 rural minnesota mail routes, an increase of more than 1,200 in just under six years. The introduction of the Model-T Ford in 1908 meant more people, farmers included, could afford cars. This helped end the isolated lifestyle of many farmers, and created new opportunities for them to promote and sell their crops. By 1930, more than 30 percent of farmers owned one or more cars. In 1914, the United States Department of Agriculture established a cooperative extension to work directly with land grant colleges. This relationship remains intact, in several forms, today. Formalizing this relationship was a turning point for the business of agriculture. In 1915, farmers were able to easily finance growth and improvements using their land as collateral thanks to the establishment of Federal Land Banks. The federal government began paying for rural road development in 1916. Shortly after, Ford Motor Company introduced the first mass-market tractor. By 1920, radio broadcasts began and farm reports made up the majority of the programming. By that time almost 50 percent of American farms also had telephones, further reducing their isolation. The beginning of the 20th century is often referred to the golden age of Minnesota farming. For the first time on a large scale, farming was considered a business and a key component of the overall economy, rather than an isolated activity. Around 1914, farmers achieved economic parity for the first time, where the price of the goods they sold were in alignment with the cost of goods and services they consumed. Immigration also surged during this period, drastically increasing food demands. This led farmers to make large investments in automation and machinery. They also began a new era of diversification, which is where we’ll pick things up in our next, and final, article in this series. Farms have been reliant on their tractors for a long time. It seems, according to this timeline, that it has been just about 100 years. While we haven’t been around that long, we’re proud to be providing farmers in Minnesota and across the country with new and quality used tractor tires and tracks, and outstanding service including vulcanizing and change overs. We hope you’ll stop by soon. Or shop our online inventory. And don’t forget, our experts are always here to answer your questions. Just give us a call. We hope that you are enjoying our series on Minnesota’s agricultural history. We’re having a great time learning more about this great community that we’re privileged to be part of. Ours is a rich and diverse community. We see it everyday when we provide new and used tractor tires and tracks to soybean growers, hog farmers, dairy farmers, corn farmers, and others. The agricultural heritage of the state is so rich that we’ve written five installments already and have barely even scratched the surface. If you haven’t read our other articles check out the first one. Part five is finally going to get us to the 20th century. We’ll learn how we came to be the powerful and prolific farming community we are now. In our last article we learned how wheat made Minnesota an agricultural powerhouse. Now we’ll take a look at how moving beyond wheat made it the sustainable economic engine it is today. In the early 1870s farmers had to diversify to maintain profitability. The first big change was the growth of dairy farming. While it required huge capital investments, there were a lot of factors working to bolster dairy farming efforts. A growing population meant increased milk demand, new hardier, frost-resistant alfalfa made it easier to feed dairy cattle, and technology like the centrifugal cream separator simplified processing and allowed farmers to focus their time on more critical tasks. This was an incredible time of growth. Here are just a few of the milestones that contributed to the rapid changes. In 1870, Minnesota began producing cheese for the first time, strengthening its position as a leading dairy state. Pasteurization came to the industry in 1871, transforming the processing and distribution of milk products. The first butter creameries went into production in Minnesota in 1880. By 1882, Minnesota had established a Dairyman’s and Butter and Cheese Association. The Clark’s Grove Cooperative Creamery was established in 1890 and became the model for creameries across the state. The University of Minnesota established its diary school in 1891, and added a formal agricultural engineering program in 1895. It began teaching farmers how to use power machinery in 1896. The first milking machine came on the market in 1905 and after that, as they say, the rest is history. As it became clear that the climate and conditions on the western frontier were better adapted to wheat farming, Minnesota's farmers turned to other types of farming that delivered higher returns. They began raising sheep and poultry, producing cattle feed, and raising pigs and cows for consumption. Farmers also began planting other crops including sugar beets and potatoes, and these newly diversified farms were able to better weather difficult economic times, bad weather, and other problems that would have wiped them out if they had only been producing wheat. Agribusiness was birthed out of the Minnesota revolution in diversified farming. Cash flow improvements came fast when money from eggs and milk could be maintained all year long. Farmworkers had more sustained income thanks to work that was now spread out throughout the seasons, rather than limited to wheat growing and harvesting. And for the first time on a large scale, farmers began to leverage farming byproducts for economic advantage. Improvements to farming equipment were ongoing then, as they are now. Most Minnesota farmers were using riding plows, grain drills, mechanical hay stackers and other time-saving machinery by 1900. It is hard to believe that so much happened in the Minnesota farming community before the 20th century. But it becomes easier to believe, once you know about how rapidly things changed after that. The pace of innovation and improvement becomes kind of mind boggling. In our next article, we’ll take a look at the great era of prosperity and growth that occurred in Minnesota agriculture in the early 20th century. It is that time in Minnesota’s history, more than any other, that put us on the path that we’re on today. And, we’re glad to be on that path. Thanks to all of the hard work that came before, we’re able to support Minnesota’s farmers with the new and used tractor tires and tracks they need to keep on moving forward. Did you know that there are 12 different types of soil in the world, and that Minnesota has seven of them? That was news to us. But it sure explains why the state is third and fourth in the nation for corn and soybean production, and why we rank fifth overall in agricultural production in the United States. That’s a lot of farms, a lot of farm equipment, and a lot of new and used tractor tires and tracks. NTS is lucky to be part of Minnesota’s agricultural community. And, we’re proud to support our farmers with tires and excellent services, including vulcanizing and change overs. We’re in the middle of a multi-part series about the history of Minnesota agriculture. This is the fourth article. Our first article started in 1820 with the establishment of the first farms in Minnesota. We learned about the early settlers and the impact that the civil war and early federal legislation had on the growing agricultural industry. If you haven’t read those installments, start with the first article. We also explored the history of the immigrants who contributed significantly to our state, and whose families are still here, still running those family farms, almost two centuries later. For almost 100 years, agriculture in Minnesota didn’t grow much beyond subsistence farming. That all began to change in the late 1800s when Minnesota began exporting wheat and flour to the rest of the country. Drought and declining yields in the 1870s forced southeastern farms to move into western territories recently opened by rail lines. Farmers in the new frontier focused their production on wheat, and it wasn’t long before Minnesota became the leading wheat producer in the nation. Duluth became the national grain-shipping hub, and Minneapolis began an era of rapid growth thanks to the increasing need for flour mills. Minnesota first exported flour in 1858. This is particularly significant because prior to becoming an exporter, Minnesota was also importing most of its own flour from other states. In 1862, Minnesota’s first rail line, the Federal Homestead Act, the establishment of the United State Department of Agriculture (USDA,) and the Morrill Land Grant College Act culminated in huge economic boosts for the state and its agricultural industry. The state's population rose to more than 430,000 in 1871, a 255 percent increase over 10 years. In 1871 construction on the Duluth Ship Canal was completed and Northern Pacific launched a new line between Moorhead and Duluth. This led to rapid agricultural growth in the Red River Valley. In 1873 a plan to develop new rail lines all the way to the Pacific collapsed, and farms sprung up across the state on land that had been set aside for the railroad. By 1878 Minnesota farmland was dedicated almost entirely to wheat. People were moving further west in greater numbers. The resulting increased demand for food and supplies helped Minnesota grow and drove the production of wheat further west, beyond the state. And while this increased market demand had a lot to do with the industry’s rapid growth, the biggest contribution to the growth of agriculture during this period was new technology. Plant breeders produced new, hardier forms of wheat, including the first hard spring wheat that thrived in northern latitudes. And farm technology, including the following advancements, improved productivity and increased yields. Reapers — Mechanical reapers meant no more cutting and harvesting wheat by hand, which was backbreaking, slow, and monotonous work. Self-binders — Horse-drawn twine binders saved farmers countless hours that used to be spent cutting and binding bundles of grain. Minnesota led the nation in wheat production by 1890. And over the next decade the state doubled its wheat production. The wheat produced in Minnesota fed the migration to the west, made it possible for the country to keep growing, and permanently changed the landscape and culture west of the Mississippi river. Like all good things, the boom was bound to come to an end eventually. And eventually, a lack of crop diversity led to topsoil deterioration. And the wheat rust outbreak, and introduction of invasive species in the late 1800s, forced farms to diversify. These were certainly hard times for farmers. But they launched a new era of agriculture in Minnesota. It is thanks to the changes that came after the fall of wheat that we are all here and working in the agricultural industry today. It is why NTS is here to provide you with the new and used tractor tires you need to maintain the long tradition of farming in Minnesota. Our next article in the series will take us into Minnesota agriculture in the 20th century. Stop by or give us a call. Our experts are here to answer all of your questions about tractor tires, changeovers, and vulcanizing. Minnesota’s agricultural history is fascinating. And it is thanks to the hard work of all of the farmers that came before us that the state continues to be one of the leading agricultural centers in the United States. NTS Tires is proud to play a small role in the success of the farmers in our community by providing quality new and used tractor tires and tracks, and delivering outstanding service, including change overs and vulcanizing. We’re writing this series of articles as a tribute to our farming heritage. We hope you are enjoying learning about it as much as we are. Our first two installments followed the stories of the pioneers who settled the area west of the Mississippi river in the early 1800s. We learned about the role that Fort Snelling played, and the passing of the Morrill Land Grant College Act that helped create a nationwide agricultural boom. And we uncovered the roots of many of the families who still call Minnesota home today. What comes next includes a series of events such as technological advances that lead to significant changes, including the eventual development of a short-lived wheat monoculture in Minnesota. Virtually all farms in the area were brand new. The state hadn’t yet reached the stage where long-standing operations began to be passed down through the generations. And even with cheap land and federal grants, the cost of starting a farm in 1860 is estimated to have been $795, about $20,000 adjusted for inflation. That’s not a small investment. Costs included oxen, cows, wagons, provisions, farming implements, and at the time and expense of building a home and clearing the land. It was all pretty slow-going. Can you imagine doing all of that without modern-day tractors, high-traction tires, and other equipment? It took some serious dedication and backbreaking work to lay the foundation that our livelihoods are built on today. We owe those early farmers a lot. There were a lot of other challenges that had to be overcome. Many of these early settlers were first-time farmers. They didn’t know how to prepare the land properly. They learned by trial and error, and often had total crop failures. They often resorted to making openings by hand for planting corn and potatoes. All that would grow on newly broken ground was corn, rutabagas, and potatoes. Farmers had to wait an entire year before planting a cash crop like wheat. The first concern of farmers in this era was shelter for themselves and their livestock. We all know how harsh Minnesota winters can be.They needed to get shelter up before anything else could be done. Because of the lack of trees, shelter was particularly challenging for settlers near waterways. Many built sod houses which, while often built with three-to-four feet thick walls, could be reduced to a pile of rubble by mice, weather, and rot within just a couple of years. Located near rivers in the southeast part of the state. Based on traditional farming methods brought to the area by immigrants. Farming has come a long way since the early days. From its humble beginnings, Minnesota has grown to become the 5th largest agricultural producer in the United States. And while wheat was the first crop that helped Minnesota become an agricultural exporter, today’s top exports are corn and soybeans. There are more than 340,000 jobs produced by Minnesota’s agriculture industry, including our jobs here at NTS. Without the agricultural industry, we wouldn't be able to make a living by supporting farmers with new and used tractor tires and services. Our next article explores how Minnesota’s wheat farmers helped the state enter a new era, and what came next. Thanks for reading our historical series on Minnesota farming. We hope you’re enjoying it. We feel privileged to be part of the ever-growing agricultural industry in Minnesota, and are committed to providing farmers with the best new and used tractor tires and tracks, and the best possible service, including vulcanizing and changing overs. Stop by or give us a call today. We’ve been at this since the early 1980s, but there is so much rich history that came before us, that we thought we’d dedicate a little time to celebrating our agricultural past. This is the second in a series of articles. Our first started around 1820 and took us up to 1850. A shocking amount of change occurred in what is now Minnesota during that time period. Start with that article first, then read on to learn more. The first big change in the 1850s was the huge influx of immigrants who arrived via rail. This wasn’t an immediate boon to the agricultural industry. It actually spurred the growth of urban centers which outpaced the growth of local agriculture, and eventually required food to be imported from the South. You might say that this was the first real estate bubble in the United States. Speculation ran wild, and land prices skyrocketed. But as they always do, the bubble burst. In 1857 Minnesota’s economy tanked, and people left in droves. News reports of the time said that those who were left were “forced” to become farmers. With the Civil War impacting the rest of the country’s agricultural production, Minnesota was able to double its wheat production between 1861 and 1865. Even with a severe drought right in the middle of the war, the area thrived. Unfortunately, also during this time huge conflicts between the U.S. Government and Native Americans made large parts of southern Minnesota uninhabitable. Many settlers simply abandoned their homes. Thankfully, those disputes had calmed enough by 1865 that people began returning to the area. There are three pieces of agricultural legislation that resulted from the Civil War and forever changed the face of agriculture in Minnesota. First,the United States Department of Agriculture (USDA) was established. Second, free farmland was granted to settlers thanks to the Homestead Act. And finally, the Morrill Land Grant College Act provided land across the country for the establishment of agricultural colleges. Thanks to the Homestead Act thousands of European immigrants moved to Minnesota, purchased acreage from the government, and established family farms. Many immigrants, especially those from Germany, settled in the area and never left. Generations later, their families are still proud Minnesotans. Many of those immigrant farmers brought old-world farming techniques with them, which helped build a solid foundation for the agricultural industry to grow from. The biggest hindrance to agricultural development in the area was not available land or farmers, it was the lack of technology. Roads were in terrible condition and rivers weren’t passable in the winter, so transporting goods was difficult. It wasn’t until 1867 that Minnesota was finally connected to the outer reaches of the area by rail line. Additionally, farming technology hadn’t advanced to the point that it could support large-scale agriculture. Land was still cleared by hand. Stumps were removed by oxen. And plows were drawn by mules. As a matter of fact, it is estimated that in 1860, thanks to the growth of agriculture and the need for cleared land, oxen outnumbered horses in Minnesota by about 10,000. In our next article in this series, we’ll explore how Minnesotans overcame these challenges, including the industrious farmers who established saw mills, grist mills, kilns, post offices, and other critical services all on their own. They literally built our communities with their bare hands. Are you enjoying learning more about this wonderful place where we live? We hope so. We are proud to be members of the Redwood Falls, MN community and to support our local farmers with new and used tractor tires, tracks, and service. You, our farmers, are continuing to drive our economy and our culture. And we hope to have the opportunity to be of service. Stop by, or give us a call. Our experts are standing by to answer any questions. Our services include changeovers and vulcanizing. And, don’t forget, all of our used tractor tires come with a 2-year warranty, because we know that quality counts, and that you need to be able to depend on your equipment. We’re proud to be members of the Redwood Falls, MN community and to be part of the area’s rich agricultural history. We’ve been selling new and used tractor tires and tracks, and providing excellent service to farmers and heavy equipment operators since the 1980s. But there’s a long history of agricultural development in MN that got us all to where we’re at now. It all starts in 1820. In this series of articles, we’re going to trace that history all the way up to the modern era of agriculture which begins in 1960. Thanks to the United States Government’s acquisition of millions of acres west of the Mississippi River in the early 1800s, pioneers began settling this area in large numbers. While the land was undeveloped, incentives made the move attractive. Early farming was hampered though, by poor transportation services which kept them lacking for basic goods and tools, including food for them and their livestock. Modern day agriculture in Minnesota has Fort Snelling to thank for its roots. In 1918 the establishment of Fort Snelling led to the development of the first Euro-American small farms and trading posts in the area. Scottish immigrants established settlements in the Northwestern Minnesota’s Red River area. By the mid 1830s, fur traders began to rely on the Red River farmers for staples including fresh meat, potatoes and flour. This is where the humble roots of Minnesota agriculture took hold. Native Americans, who had been growing crops in the area long before the settlers arrived, were already being displaced by this time. Thanks to the 1803 Louisiana Purchase, the federal government was in almost total control of the area. Major treaties throughout the 1950s saw to it that agriculture and logging would become the economic engines of the area for decades to come. Between 1854 and 1857 the area experienced rapid growth thanks to extraordinarily fertile land being put up for sale at bargain basement prices. If you were willing to work the land, the federal government was letting it go cheap. New federal incentives intended to help advance the development of rail lines, and the harvesting of natural resources to support building booms in the east, continued to draw massive numbers of settlers for the rest of the 1800’s. The government established public domain of present-day Minnesota with surveys done between 1847 and 1903. They sold land for $1.25 an acre. Squatters, or settlers who arrived during that time were allowed to purchase up to 160 acres of land that they had laid claim to at that same price. After 1850, things really began to change. Minnesota saw an influx of immigrants, the introduction of agricultural technology, and experienced the effects of the Civil War. A lot of drama surrounded the agricultural industry and the development of other Minnesota industries during this time. In our next article in this series, we’ll explore the next 50 years or so. We hope you are enjoying learning more about this wonderful place we live. We love it here in Redwood Falls, MN. If you are part of the new generation of farmers that is continuing to drive our economy and our culture, we hope you’ll consider us when you need new or used tractor tires or tracks. Call if you have questions. Our services also include changeovers and vulcanizing. And, don’t forget, all of our used tires come with a 2-year warranty. We don’t think you’re going to find that anywhere else. We hope to see you soon. In our work, we can’t help but have some nasty chemicals around. You can’t repair a giant tractor tire without some hazardous chemicals. Having toxic chemicals around is also a fact of farm life. There’s no way to avoid them 100 percent. But, you can take the proper safety precautions to keep you, your employees and your family safe. You, and everyone working on the farm, need to know what chemicals you have on the farm, what the potential side-effects of exposure are, what the recommended safety precautions are, and what the treatment protocol is in the case of exposure. We say everyone, because in the case that someone needs immediate care, it is pretty likely that the person providing it won’t be someone who regularly works with agrichemicals. If you are the only one with the information, and you are the one who needs help, you’re going to be glad that you took the time to train your team on safety protocols. You can find a lot of helpful information at The CDC’s Agricultural Safety website. And be sure to take a look at our printable guide below to the OSHA Hazard Communications Standards, a handy quick-reference to help you know what type of chemicals you are working with. You can also download a comprehensive educational overview about agrichemical safety. Take these simple steps to keep everyone safe. Always follow manufacturer's instructions, and don’t cut corners. It isn’t worth the risk. Do not, under any circumstances, remove labels. Keep chemicals and protective gear in separate locations and don’t keep clean protective gear in the same place as gear that needs to be sanitized. Keep track of what you’ve got, and properly dispose of any outdated, expired, or otherwise unusable chemicals. Always wear the protective gear recommended by the manufacturer such as respirators with multilevel gas protection cartridges. Wash clothing exposed to agrichemicals separately. Never put those clothes in the dryer. Line dry them. Any residual chemicals are likely highly-flammable and can easily catch fire in the heat of your dryer. If you can’t use a separate washing machine for work clothes, run your machine through a clean cycle after cleaning work clothes. Keep any shoes, boots, and gloves that may have been exposed to chemicals out of the house. Please take the time to educate everyone on the farm about chemical safety. And, if you think we’ve missed anything here, please let us know the next time you stop by NTS Tire Supply. We’ve been in the used tractor tire business a long time. During that time ,we’ve heard far too many stories of farm accidents where kids were unnecessarily injured. Keeping in mind that farms are inherently dangerous places, and that accidents are going to happen no matter how much planning you do, there are some simple steps that every farm family can take to keep kids safe. Give your kids a refresher safety course, and start with grain safety. Every year too many people die because of grain bin accidents that could have been avoided. Something as simple as trying to unclog a chute can turn deadly if you aren’t careful. Never play in or near a grain bin. It is tempting, but even standing on the surface of a full silo is very dangerous. Make sure your kids understand that air pockets exist, and if they get pulled into the bin by one, they won’t be able to escape. Better yet, keep all of your grain bins locked so that no one will be tempted to see them as play areas. Many experts say no one, not even an adult with a safety line and harness, should ever enter a grain bin. The danger is just too great. You may be surprised what little children will put in their mouths. And, unfortunately, a lot of dangerous things don’t look dangerous to them. Keep harmful chemicals under lock and key. Teach your kids what steps they should take if they think someone has been poisoned. Keep the poison control phone number posted near all phones, and program it into everyone’s cell phone. We’ve talked about this one before, but it is a very easy rule to break, especially when your kids or grandkids are home for the summer and want to hang out with you while you are working. If your teenagers are helping out and driving heavy equipment, make sure they know that their friends are not welcome as passengers. Even if there is an extra seat, the distraction of having a pal in the passenger seat is too great. And always enforce the rule that a one-passenger vehicle is just that, a one-passenger vehicle. You have to set an example on this one and not allow kids to ride in your lap while you’re driving the tractor, even for a short time. It may be fun, but they’ll learn that it is okay to break the rules. Small children, no matter how much time they’ve spent around animals, should never be left alone inside an enclosed area with cows, horses, sheep or other farm animals. Even the calmest horse can get spooked and accidentally knock a child to the ground. Always keep an eye on your little ones around animals. You don't have to hover. Just be aware so that if a situation looks like it could get dangerous, you can explain to your child how to be safe. They’ll learn with experience, but there’s no reason that their experience has to include a concussion or a broken arm. Falling off of machines or equipment: They aren’t jungle gyms. Don’t let kids treat them as such. Improper chemical storage: Keep chemicals under lock and key. There’s no reason to take any chances. Accidents on ATVs, motorcycles and other vehicles. We’re not suggesting that you ban kids from these activities, just make sure they’re wearing the proper protective gear. You can mitigate a lot of risk on the farm by talking as a family about what dangers could be encountered and what the appropriate responses are. For instance, what should someone do if they encounter a fire? Or, what should your child do if a friend or sibling is thrown from a horse? And don’t forget things like flood safety and extreme weather safety, including what to do in the case of a tornado if you live in an area prone to tornado activity. Taking a red cross safety and first aid class as a family is a good way to spend some family time together and learn how to keep each other safe. Kids as young as five can learn a lot from a basic first aid course. Plus, a refresher can’t hurt, no matter what your age. We hope these tips help you and your family stay safe. Next time you are here at NTS Tractor Tires to replace old wheels or tires, we hope you’ll take a moment to let us know if you’ve got more tips we should add to our list. Stay safe. See you soon. People who aren’t familiar with the rigors of farm work often envision rolling hills, open skies, working outdoors, and being connected to the land when they think of farming. That’s a pretty romantic interpretation of what is very hard, and very dangerous, work. Thousands of farm workers are seriously injured every year, and hundreds die from accidents. The majority of those accidents involve farm equipment. Some farms are even subject to OSHA safety regulations now. Thankfully, a lot of heavy-equipment injuries can be prevented with proper training, preparation, and safety gear. Anyone using a tractor should be familiar with how it works, including how to maintain it in good working order, and how to spot signs that something may be wrong. Not knowing where each and every switch and control is located can lead to disaster in an emergency situation where quick-thinking is called for. A rollover protective safety structure (ROPS) should be considered standard equipment. A properly installed ROPS will stop a rollover at 90-degrees. But, even a ROPS-equipped tractor isn’t safe if you aren’t wearing your seatbelt. Open your garage or barn doors before starting your tractor. Carbon monoxide accumulates quickly, even in large spaces. Keep fire extinguishers, flares, and a first aid kit in your tractor, and keep a checklist of expiration dates. Don’t underestimate the danger. We all drove tractors as kids, and it is easy to think that a 15-year-old, who grew up on a farm around heavy equipment, is up to the task of driving a tractor. They may be. But most likely, they haven’t developed the critical-thinking skills and judgement they’ll need to keep them safe, should anything go wrong. If you’ve got young people operating your tractors or other heavy equipment, have them complete a comprehensive training course. They are offered by 4-H and FFA. And, don’t forget to check OSHA regulations that might limit who can operate your equipment, and what training is required. Do regular safety checks. A daily maintenance routine, driven by a checklist that is followed exactly and routinely, goes a long way toward keeping you safe. If you don’t check oil levels, hydraulic fluid, hoses, and belts on a daily basis, you’re asking for trouble. Safety checks don’t take very long, and the benefits far outweigh the extra trouble. Did you know that hydraulic fluid in a a lot of heavy equipment is under such extreme pressure, that if a hose breaks, the escaping fluid is capable of cutting through your skin? It is. So, check those hoses and connections. If your manufacturer didn’t provide a startup checklist, start with this one, but request one from them. Make sure mirrors, windshield, platforms, steps, and your cab are clean, free of debris, and that there aren’t any loose tools lying around. Make sure your lights are working and your “slow moving vehicle” sticker is visible. Follow your operator’s manual when it comes to starting up your tractor. Don’t just wing it. Improvisation leads to injury and equipment damage. Unfortunately, some safety advances can make us complacent, and cause us to overestimate our own abilities, which leads to accidents. It happens in cars and in tractors. Even with computers to monitor temperatures and pressures, and a GPS to keep you on track, it is still up to the driver to have enough situational awareness to operate the equipment safely. So, be aware of your surroundings before you take off, and stay diligent while you are driving. Are there children or small animals around that shouldn’t be there while the tractor is moving? Are there obstacles in your way that you need to steer clear of, such as ditches, boulders and tree stumps? Are your clothes properly secured? Loose clothing can easily get caught. Tuck everything in, and don’t wear anything that flaps in the breeze. You can take all of the recommended safety precautions, but if you operate your tractor in an irresponsible or reckless manner, all bets are off. You’ll become the safety hazard. Keep these things in mind while you are underway. Sheer lines: Embankments will collapse under the weight of your tractor. For a six-foot embankment, you’ll need to stay six feet away from the drop off. Go slow: Centrifugal force is not your friend when moving through tough terrain or making turns. As a matter of fact, if your speed doubles while you make a turn, the danger of upsetting your rig increases four times. Use hitches properly: Your hitch is there for a reason. Use it. Don't improvise and use chains, cables, or straps that aren’t recommended by the manufacturer. If you follow instructions, you’ll be protected from tipping backward. If you don’t, there’s no guarantee that you won’t end up on stuck, sitting on your back end. Don’t go downhill in neutral: Your tractor’s gears work as backup brakes when you are on a downward slope. Pick a low gear, and shift before you begin your descent. Don’t take passengers: Tractors are designed for one person, adding a second person is an unnecessary distraction. No kids on your lap. No dogs in the cab. No passengers! Since we’re one of the largest distributors of used tractor tires around, we’ve become quite the experts on tractor safety over the years. If you’ve got concerns about the safety of your tires, think you might need new tires, or want to learn more about used tractor tires, give us a call. We’re here to help! Barns are one of the biggest fire safety hazards on a farm. You probably have heavy equipment including tractors, extra tires and parts, power tools, fuel, hay, and a lot more in your barn. And, just about all of it can cause a fire, or provide excellent fuel to help one burn longer and hotter. With all of those things to keep track of, it can be easy to overlook some basics. Heaters: Space heaters and lamps are must-haves in the barn during winter months. Don’t overlook them as fire hazards. Just turning them off when you aren’t there isn’t enough. Make sure that they are a safe distance from anything flammable whether they are on or off. A solvent-soaked towel, tossed near an unplugged, but still hot, lamp or space heater, can go up in flames fast. Proper equipment: We know we’re guilty of this, and if you’re honest, you probably are too. Just don’t do it — don’t use equipment in the barn that isn’t agricultural or commercial grade, including extension cords. When you’re leaving equipment out in the barn all year long, it is exposed to extreme conditions, and household tools just can’t stand up to that. They’ll malfunction and become fire hazards. Electricity: You can’t function without it. But it’s very presence presents is hazardous. Make sure that all of your wiring is heavy-duty, and rated for outdoor use. If you are strictly adhering to fire-safety protocols, then even that heavy-duty wiring really should be encased in metal conduit pipe. Keep covers on bulbs to protect them from cobwebs and dust. And, to all but eliminate bulbs as a fire source, replace all of your bulbs will cool-burning fluorescents. Check your outlets: They should all have spring-loaded covers on them. You’ve probably got outlets that you don’t even see on a day to day basis. Is there anything plugged into them? You’d be surprised how often the answer to that question is, “I don’t know.” Go look at them, and make sure they are free of dust and debris, and that nothing flammable is stored near them. Always make sure your panel boxes are weather-proofed, even inside the barn! Keep any electrical equipment off the floor and away from doors or anywhere it may be exposed water. Separate storage areas: You may need to move some things out of the main barn, depending on what type of farm work you are doing. Choose the best place for each of these items, but don’t store them together. Feed and hay should never be stored in the same barn as flammable liquid. Work rags and towels need their own storage space. And, it is a good idea to store spare tires and other petroleum-based products separately from flammable liquids. Fire detection and protection: If you’ve got a crew that is regularly going in and out, using equipment and flammable liquids, make sure they are all trained in fire safety, including the proper use of fire extinguishers. Have fire extinguishers mounted in a visible spot near each exit, and at each work station. If you’ve got a loft, put one up there too. And, for Pete’s sake, don’t smoke in the barn. You consider your barn outdoor space. Well, it isn’t. It is a building. And, it should have, at a very minimum, smoke and carbon monoxide detectors. Grounding: Make sure that all of your electrical systems, and anything made of metal, or connected to your water system or phone lines, are properly grounded. And always have a properly-grounded lightning rod. Livestock: If you’ve got horses or other animals in the barn, always make sure you’ve got firewalls between them and any bedding, hay, or grain. It may seem like an extravagance, but firewalls are not as expensive as you may think. And having an extra 30 minutes to get your animals out when there is a fire makes firewalls very much worth the price. Please don’t put that hay and bedding between your animals and their exit path. Make sure they can escape a burning barn quickly. FIre fighting: We mentioned earlier, that fire fighting infrastructure in rural areas is different than in urban centers. You may have a volunteer fire department. However, your nearest crew may be more than a half hour away. So, fire preparedness is very important. One more thing you can do is to make sure there is a water source near your barn to assist in putting out any fires. Maintaining a fenced-in pond may seem like a lot of extra work, but when you need that water to fight a fire, you’re going to be glad you have it. Stay safe. Don’t take any chances. Here at NTS Tires, we’ve got a yard and a warehouse full of used tractor tires and other highly-flammable materials, so we’ve become experts in fire safety. We’re happy to share what we’ve learned with you. If you come in to see us next time you need new tires, we hope you’ll let us know what you thought of our tips, and let us know if you’ve got additional tips we should share with our customers. If you are in the market for used tractor tires, there are some things you’re going to want to be aware of before you walk into a huge yard full of inventory. Here are some tips from our experts. And, don’t forget, whether you shop online and call our experts, or stop by our Redwood Falls, MN location, we are here to help. NTS is a reputable dealer. In addition to used tires that are high-quality trade-ins, we’re an authorized dealer for Titan, Goodyear, Firestone and Michelin. So, you can rest assured that we are professional, reliable, and trustworthy. We also do our own vulcanizing, regrooving and other on-site services. So, any tire that has been repaired by us, has been repaired to last! Before you start shopping, make sure you know the size of your current tires, the size of the rims, their diameters, the load capacity you require and whether you are currently riding on radial or bias tires. There’s nothing worse than getting home with the perfect tire only to find out that it doesn’t fit on the rim. Don’t make it a guessing game. Come prepared. Just about anywhere you find used tires, including here at NTS in Redwood Falls, MN, you can get great deals. If someone bought the wrong size tire and had to almost immediately replace them, you may very well find them here. Take a look at the original retail prices and you’ll know if you’re getting a great deal. Our advice is that if you find a deal like that, grab it. They usually don’t last long. Inspect tires for any past patches or repairs. A lot of used tires that have a good life ahead of them may have already had some repair work done. That’s not necessarily a bad thing. Just make sure the repairs were done correctly. If you don’t know what a proper repair looks like, have someone who knows inspect the tire for you. Check out the original price for the tire. This will help you determine if the new or used tire is the best option for you. Given how long you plan to ride on the tire, how much your bottom line depends on performance, and what your expectations are, a new tire may end up being the better investment. Old tires, even those without a lot of hours on them, are most likely not a good choice. A tire that is more than ten-years-old is going to behave like a ten-year-old tire. There’s really not much to be done about tires that have not worn evenly. And, there’s no way to keep them from degrading your tractor’s performance. Any bulging in the sidewall is a bad sign. Stay away from these tires. They either had to carry loads beyond their capacity or were defective to begin with. The bulge may be repairable, but unless you are experienced to know what can and can’t be repaired, and how to properly make the repairs, just keep shopping. Cracks are another thing to avoid. One crack in the center of a tire likely started with a puncture and can be repaired. But unless you know for sure that’s the case, and you’re willing to take on the cost of repairs, don’t buy that tire. If the cracks are on or near the sidewall, definitely steer clear. Depending on who you talk to, you’ll hear two basic pieces of advice on this topic. Never, ever mix-and-match tractor tires. And, go ahead, as long as they are the same size, it’s not a problem. The truth is that whether or not this is a good idea for you or not depends on several factors. If you are sticking with the same type of tire, like radials, with the same width, diameter, wheel size and tread width, then there probably is no reason not to mix-and-match. Our best advice is to just avoid it whenever possible, unless you’ve gotten advice from an expert, like our team here at NTS. A great place to start, whether you need new or used tractor tires, is calling our team of experts or stopping by to see us. We’re here to help. Buying used tires is one thing, but when you’re buying the whole tractor, that’s a bit more risky. It’s enough to make you downright paranoid. Unless you know the person you’re buying it from, the truth is that you just don’t know what the real story is. But, there are some things that you can do to lower your risk of being taken advantage of. 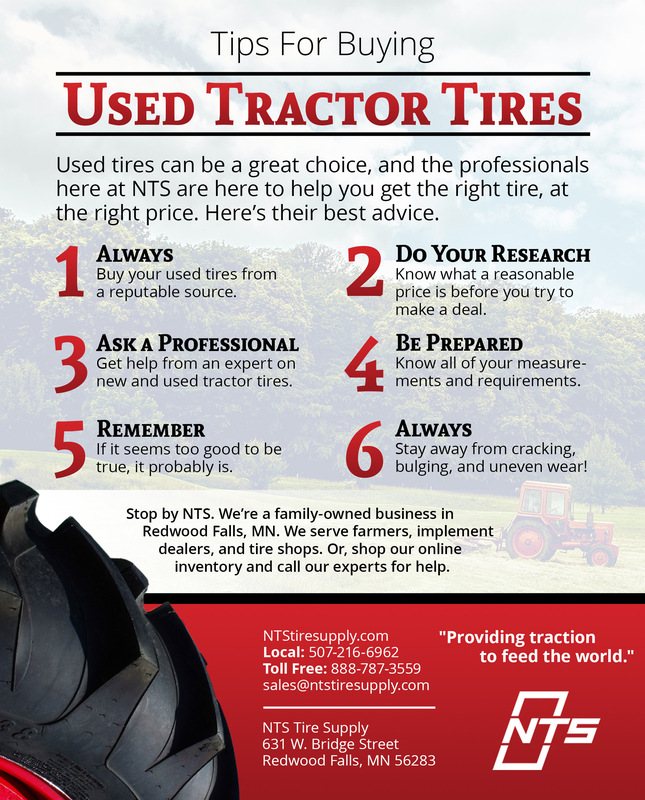 You know that if you are in MN, you can just swing by and talk to the experts at NTS about your tractor tires, whether you’re buying new or used. But who do you go to for that kind of advice about buying a tractor? We didn’t know the answer to that question, so we put our heads together to put this advice together for you. We hope it is helpful. If you are buying a tractor or other piece of equipment for the first time, it is important to know exactly what it is you need. How big of a tractor do you need? 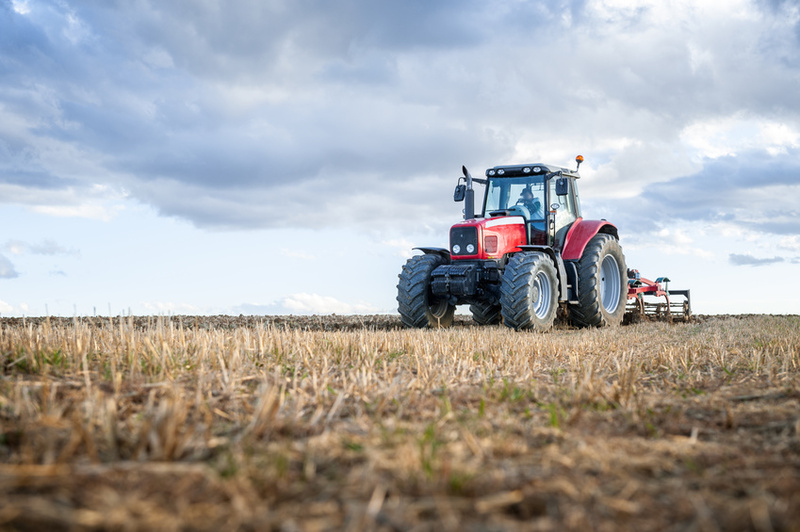 Our best advice on this is to talk to dealers of different tractor brands about what you’ll be using your tractor for, how much land you need to cover, and how quickly you’ll need to complete your work. If you get the same advice from both of them regarding the horsepower you’ll need, that’s great. Next, since you’re buying used equipment, we recommend going up one size. So, if a 50 horsepower tractor was recommended, look for 70 horsepower models. Do you have implements that you’ll need to attach to your trailer? Don’t overlook the different types of connections. Make sure that any equipment you’ve already got is compatible with what you end up buying. They aren’t all the same. Some implements connect simply via the drawbar. Some are belly-mounted and connect to a spinning drive shaft, while others are hydraulic. A lot of older tractors don’t have hydraulics. Educate yourself about what different tractor features mean. A lot of dealers will talk about weight, size, load capacity, lift capacity. Here’s the problem. Those things are all measured in different ways depending on who you are talking to. In the best cases, those measurements may be meaningless to your decision. In the worst, relying on those things can get you a tractor that just isn’t up to the work it needs to do. If you aren’t an expert, educate yourself about tractor transmissions. Standard transmissions are going to be less expensive, and may be the best choice depending on how you plan to use your tractor. But, if you need to use a front loader frequently, you’ll want something else. Because they’ve become so popular, hydrostatic transmissions have also become less expensive. They’re durable and pretty darn easy to maintain. On very large tractors, you’re going to want to look for a hydraulic shuttle transmission. If the tractor you are looking at has recently been repainted and has all new sales around the cab, and everything is newly greased and upgraded, but it is still being sold at a reasonable price, there’s a reason for that. It is quite possible that the tractor suffered flood or fire damage. All of those things would need replacing in either case. But, there is no way to know what the real damage is until you’ve been running the tractor for a while. By then it is too late. If something looks too good to be true, it is best to assume that it is. Check for wear. If there are relatively low hours on the engine but the mats, seats, tires or even pedals and gear shifts are unusually worn, that’s another red flag. Steer clear if everything doesn’t seem to line up. Don’t forget to check hitches and the swivel pin. Drive it. Take it for a spin in conditions similar to your working conditions. Give the steering a workout. Does the differential lock when you turn a corner? Do the tires grab? Does everything feel right? Look before and after you drive. While you may not see any obvious signs of leaks on your first look, do another inspection after you’ve driven the tractor, and after it has cooled off. Don’t forget to check the hydraulics for leaking fluid. Do the same with the oil. Check the oil while the engine is cool and while it is hot. A cool engine with smelly, dark, or water-tinged oil is an engine that probably hasn’t been very well maintained. Tractor tires that are worn unevenly require you to take a little closer look at the tractor. You can also find evidence of leaks on the tires. So, if you see oil or hydraulic fluid streaks on the tires, pay attention to that. Always keep a maintenance log. And, never buy a tractor or other piece of equipment that doesn't have one. Even if you are buying from a dealer, if they acquired it via a trade-in or at auction and it came with good records, they’re going to keep those to show any potential buyers. If they don’t have them, they probably don’t exist. There are some exceptions. If there are no records, have an experienced mechanic that you trust do a thorough inspection. When it comes down to it, there are no guarantees that any used farm equipment is going to perform the way you need it to. You can increase the odds of making a good purchase, though, by doing your due diligence, following your instincts, not falling for a sales pitch, and not being swayed by something that just looks too good to pass up. If you need new or used tires for your new or used tractor, stop by NTS in Redwood Falls, MN or shop online and call our experts with any questions. They are standing by to help! This is the first in a series of articles on the history of agricultural equipment. You know that we’re the ones to call when you’re looking for new or used tractor tires. Our experts have more knowledge about the latest technology, features, and brands than you’ll find just about anywhere else. We aren’t experts on the history of how the equipment we depend on for our livings came to be the amazing feats of engineering that we know today. We were curious, and we thought you might be too. So we did a little digging. Here’s what we unearthed. There was no need for tractor tires until pretty late in the history of plowing. Here’s a look at how it all started. The Plows used by farmers changed very little over several centuries. Ancient Egypt and other early agricultural societies used digging sticks to create holes for planting seeds. Eventually, hoes were added to the sticks, and pulled through the dirt to make rows where crops were planted. We also have the Ancient Egyptians to thank for the introduction of animal power to pull hoes. Around 1200 BC, they domesticated oxen and used them to pull larger plows known, as ards. Some developing countries still use that technology today. During the Iron Age, it became possible to cultivate less fertile soil when a moldboard, or curved metal wedge, was added to the end of the ard. This new plow brought nutrient-rich soil to the surface. And, this version of the plow, with few variations, is what early American settlers still used. Early American farmers struggled with poorly constructed equipment. Moldboards were not standardized. No one really knew what the best design was. Many were little more than just a simple iron wedge attached to a stick. At this point, there is some disagreement about the evolution of the plow. A patent was granted in 1797 for a new cast iron plow, and a second was issued in 1807. The ensuing patent infringement case seems to have stalled much more advancement in the technology. Thomas Jefferson made some improvements to the design that meant much less force was required to turn tough, rocky soil. He began casting his design in iron in around 1814, and it was widely adopted. The cast iron plow became the new American standard. While it would still be quite a while before tractors with tires ruled the agricultural landscape, a significant step toward modern-day agriculture occurred in 1837 with the invention of the steel plow by John Deere. And, like a lot of good things, it started out with an accident, specifically, a broken sawmill blade. The story goes that the broken blade gave him the idea to build something better than the cast-iron plows that had been the standard for generations. Cast iron didn’t move smoothly through sticky soil, making what was already very difficult work, even harder for farmers. They broke frequently, taking precious time away from farmers who had to get crops planted before planting season was over. Deere figured that smooth, polished steel, like the sawmill blade, would make the work much easier and make it go much faster. He was right. While the innovation may seem small by today’s standards, it was considered the height of agricultural technology at the time. These new plows moved so easily through the soil that horses and other animals pulled them with virtually no additional effort by farmers. So, the next step in the technology’s evolution, the riding plow, isn’t surprising. The first riding plows entered the scene in the late 1800s. Along with the riding plow, came multiple-furrow plows. Using teams of up to seven draft horses to pull very large, multiple-furrow plows, about 10 acres could be plowed daily. This represented a huge leap in productivity. Enter wheeled tractors. The next step toward modern-day tractors with tires came in the form of wheeled tractors that were pulled through fields by steam engines. Large-scale implementation of the technology enabled more than 100 acres to be plowed each day. This was a great advancement, but the steam-powered machines could only be used on relatively flat land, and they were bulky so they weren’t practical for farmers working on multiple small plots. These limitations are what led to the development of the first gas-powered tractor in 1892. This takes us to the beginning of the next big era in farming, the evolution of the modern-day tractor. Our next article will follow that history from this point up to present day, including the introduction of the first rubber tractor tires. We hope you enjoyed this little trip down memory lane. If you need new or used tractor tires, stick around and shop our site. If you don’t see what you need, give us a call. We’ve probably got it in stock at our Redwood Falls, MN location. Our experts are also standing by to answer any questions about tires, tracks, and wheels. This article is the first in a series where we’ll explore the ins-and-outs of the different tires we sell here at NTS Tire Supply. We’ll dig a little deeper into the manufacturers, what sets them apart, and what part of the market their tires excel in. Hopefully, you’ll find these articles helpful in your search for the right tractor tires and tracks. As always, give us a call if you have questions. Or if you are near Redwood Falls, MN stop by to check out our inventory and talk to our experts in person. Currently headquartered in The Netherlands, Alliance Tractor Tires was founded in Israel in 1950. The company first began manufacturing front and rear tractor tires in 1960, and designed its first radial tractor tires in the early 1990s. They consider themselves a leader in R&D and early adopter of new manufacturing and operational technology. Alliance was one of the first companies to introduce diagonal flotation tires and radial flotation tires. Alliance owns the Alliance, Galaxy and Primex brands and in 2007 combined them under the ATG (Alliance Tire Group) brand. While they do have R&D facilities in the United States, all of their tires are manufactured in Israel, India, China and Taiwan. In 2016 ATG became a wholly-owned subsidiary of The Yokohama Rubber Company in Japan. Tractor drive tires and row crop radials are among ATG’s top performing agricultural times. They manufacture agricultural tires under the Alliance and Galaxy brands for combine harvesters, spreaders, sprayers, tractors and other specialized equipment. They also offer customized solutions for applications worldwide. The company offers radial and diagonal flotation tires under the Alliance and Galaxy brands. Their flotation tires are used on everything from balers and cultivators to more heavy vehicles like tractors, excavators and self-propelled sprayers. Under the brands Alliance and Primex, ATG offerings for the forestry industry include tires for large-scale machinery like forestry harvesters and forwarders. ATG industrial tires for the construction industry are sold under the Galaxy and Alliance brands, for use on industrial tires, backhoe loaders, boom lifts and many other types of equipment that require excellent traction and large-load carrying capacity. ATG manufactures tires for applications including earthmoving and mining. Its off road tires are often used on graders, articulated dump trucks, bulldozers and other heavy equipment. The Alliance tires we carry here at NTS range from the highly puncture resistant Alliance 344 Forestar flotation bias ply tire to the all steel, high speed AgriFlex 363 row crop tire. Alliance offers an excellent variety of tires for a number of uses. Whether you need something with ultra-low slippage and high traction, or a flotation tire for a heavy or light-duty application, they’ve probably got what you need. As with any tire manufacturer, tradeoffs between quality and price are always something to consider. Alliance tires are sometimes available at a lower price than many more popular brands. But some people believe that the tradeoff is lower-quality, less-durable rubber. If you are debating between Alliance tires and one of our other brands, we’re happy to answer any of your questions and provide expert advice. Everyone’s needs and budget are different. Trust us to steer you in the right direction. Check out our Alliance tires. Don’t see what you need? Give us a call or stop by. We probably have it. If we don’t, we can get it for you. The Firestone Tire & Rubber company was founded in Akron, Ohio in 1900. As a fourth-generation farmer, the company’s founder, Harvey S. Firestone started the company with a mission to build rubber tires for tractors and other farm equipment. Starting off in 1900 with just 12 employees, the company grew quickly and surpassed $1million in sales in 1906. In 1911, Firestone sponsored a driver in the Indianapolis 500, and before long, winner-after-winner was driving on Firestone tires. The company continued to grow and innovate throughout the 1920s. The company focused on improvements to its tractor tires and delivered the industry’s first affordable low-pressure pneumatic tractor tire in 1932. By 1955 Firestone had become the world’s largest producer of rubber, delivering about one million pounds of rubber per day. In 1988 Bridgestone and Firestone announced their joint manufacturing venture, and a year later the two companies completed their merger. Bridgestone remains the world's largest tire and rubber company to this day. A 400-acre farm tire test center operated by Firestone in Columbia, Ohio is the only research facility dedicated to testing agricultural tires. The company tests its new tractor tires, as well as competitor tires, using its custom-designed 30-ton test vehicle. Known as the “Mean Machine”, the test vehicle is designed to mimic the most punishing conditions, and is loaded with sophisticated diagnostic equipment to measure traction, wheel slip, tire strength and dozens of other performance factors. Firestone’s ground-breaking 23-degree tread design and its new Advanced Deflection Design (AD2) tires were both developed at the facility. Firestone claims that its AD2 technology gives its IF tires up to a 20 percent greater load capacity, and delivers up to 40 percent greater loader capacity for VF tires. According to studies conducted at their resource center, the tires can deliver a 4 percent fuel savings and complete equivalent tasks 5 percent more quickly when compared to same-sized radial tires from other manufacturers. They also claim to deliver the least soil compaction compared to competitors. In 2015, Firestone announced a new line of agricultural tires for high-horsepower applications. The new line included vulcanized lugs, high-performance steel cables, cut-resistant rubber compounds and Firestone’s Pro Edge sidewall protection technology. NTS offers a wide variety of new and used Firestone agricultural and commercial tires. Here’s an overview of just some of the Firestone tires we offer. Firestone All Non Skid Tractor: This tire is designed for maximum floatation and unmatched lateral traction. It performs extremely well in sandy areas, and is often used for applications such as highway maintenance. Firestone All Traction Utility: This is a high-flotation tire built for impact resistance and durability. It is best suited for tractors, loaders, backhoes and other light-duty equipment. Firestone Champion guide Grip 3-Rib: This tire is designed to be a high-performer in most farming conditions. Its self-cleaning tread delivers precision steering, while the fortified rubber and nylon-cord body, make this tire incredibly durable. Firestone Radial Deep Tread 23°: This tire’s tread is approximately 25 percent deeper in the center for excellent traction in wet conditions. It is designed for high-horsepower applications. Firestone Radial All Traction DT: Designed for narrow row and broad land farming,these tires offer a multi-angle tread for outstanding wet traction. Firestone Champion Guide Grip 4 Rib: These front tractor tires are designed to be especially slip resistance with great holding power and high flotation. They are erosion and puncture resistant. They are available in a variety of low-profile and conventional sizes. NTS has a wide variety of tires for agricultural and commercial use. If you don’t find a Firestone tire that’s a great fit for your application, check out our selection of tires from Alliance, Michelin, Goodyear, Titan, BKT, Mitas, Botos, Trelleborg, and Petlas/Starmax. If you don’t see what you are looking for, give us a call. Chances are very good that we’ve got what you need. If we don’t, we can find it for you. Our team of professionals has extensive knowledge, and they are standing by to take your call. We’re located in Redwood Falls, MN. If you live in the area or are passing through, stop by and check out our huge inventory of new and used tractor tires in person. We’d love to see you. This is the second article in our series about the companies that manufacture the tires we sell. Our first article took an in-depth look at the Alliance brand of tractor tires, including the history of the company, their manufacturing process, and their areas of specialization. In this article we’ll take a close look at Michelin the company, and Michelin the tire. Brothers, Andre and Edouard Michelin founded the Michelin Group in 1889. The company, based in Clermont-Ferrand, France, originally produced rubber balls and farm equipment. In 1891 Michelin developed its first tire, a detachable bicycle tire, which Charles Terront used to win the most prestigious bicycle race of the year. The Michelin Man we’ve come to know today was born in 1898 as “Bibendum.” The idea really did come from a stack of tires. Michelin entered the U.S. market in 1907 with the purchase of The International Rubber Company. Over the course of the next 30 years, Michelin expanded its business into map making, travel guides and road signs. In 1935 the company acquired a controlling interest in Citroen which it would maintain until 1975. The very first truck tire with a steel casing was launched by Michelin in 1937. The company patented the radial tire in 1946. And their entry into the industrial tire market happened in 1959 when it introduced the first radial tire for earthmovers. In 1978 Michelin launched it’s first farm machinery radial tire, the Michelin Bib X. Jumping forward past years of innovation in racing tires, airplane tires and runways, and more, we see the launch of the world’s largest earthmover tire by Michelin in 2001. Since then, Michelin has continued to be a leader in the manufacture of tires for consumers and industry alike. Its largest base of operations is in the United States, where it employs more than 15,000 people. Michelin tractor tire technology focuses on reduced soil compaction, fuel savings, and durability. They claim that their Ultraflex technologies give their tires the best flotation, at the lowest tire pressures, and significantly reduce soil compaction compared to other tires. Ultraflex tires are built specifically for sprayers, high horsepower tractors, combines, trailers, spreaders and harvesters. Sprayer Tires are designed specifically for high-clearance sprayers used during fertilization and chemical application. Michelin claims that their tires can carry a load equal to comparable tires with up to 40 percent less air pressure and that the offer the best comfort and traction. Tires for high horsepower tractors are designed by Michelin to perform best at low pressure, enabling a larger footprint and reducing soil compaction. They claim that their tires work best in difficult conditions, saving time and monty. The company’s combine tires are built with greater mobility in mind. They offer both front and rear tires. Trailer, spreader, tanker and harvester tires from Michelin carry heavier loads than some other tires. And they claim that they provide the least compaction and longest life in the industry. Last year Michelin introduced a new line of agricultural tires designed to handle larger, heavier farm equipment such as large combines and grain carts. Michelin claims that these are the first truly Very High Flexibility (VF) tires for the agricultural industry. We’re proud to provide our customers with some of the most durable and technologically advanced agricultural tires available, including Michelin. Among others, we carry the following Michelin tires. Michelin Agribib Row Crop tires for farmers who are reducing spacing to accommodate specialty crops or increase yields. These tires offer extra-deep 40 degree lugs for excellent traction and control, are narrower for limiting damage to plants and roots, and have a strong reinforced casing. Michelin MachXBib for soil protection and flotation. These tires carry heavy loads at ultra-low pressure. Michelin Cargo XBib high-performance radials deliver extremely low soil compaction and carry very heavy payloads at high speeds. Michelin MegaXBib heavy-capacity tires offer some of the lowest soil compaction and excellent stubble protection during harvesting and spraying. They have received some of the best durability ratings in the industry. Michelin Xeobib, the first tire to incorporate the Ultraflex technology allowing for high performance at constant low pressure, along with ultra-low compaction and resistance. Michelin Axiobib, the only tire currently available that is in compliance with new IF designations established by the U.S. Tire and Rim association. It carries extremely heavy loads thanks to unmatched sidewall flexibility. 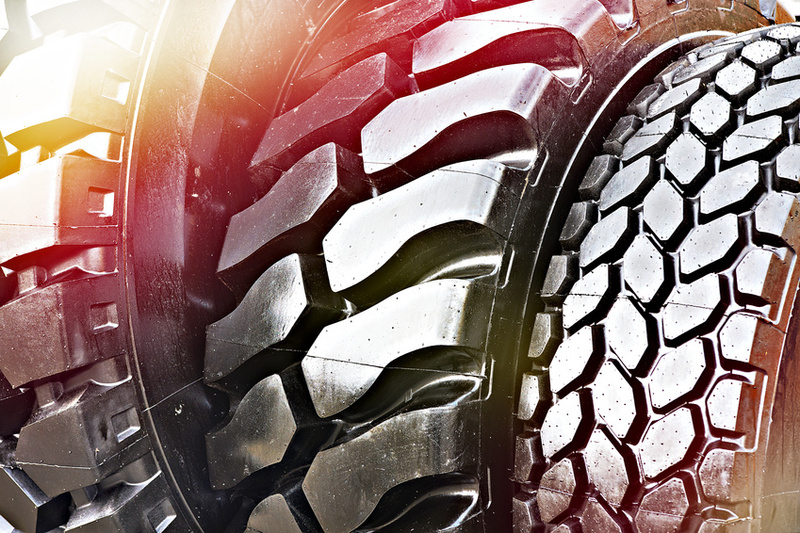 Thinking about Michelin tires for your tractor or heavy equipment? Give us a call. We’ve got a great selection of new and used Michelin tires to choose from. If you are nearby, stop by to see what we’ve got in stock and talk directly with our experts. We’re conveniently located in Redwood Falls, MN and can ship your tires almost anywhere.